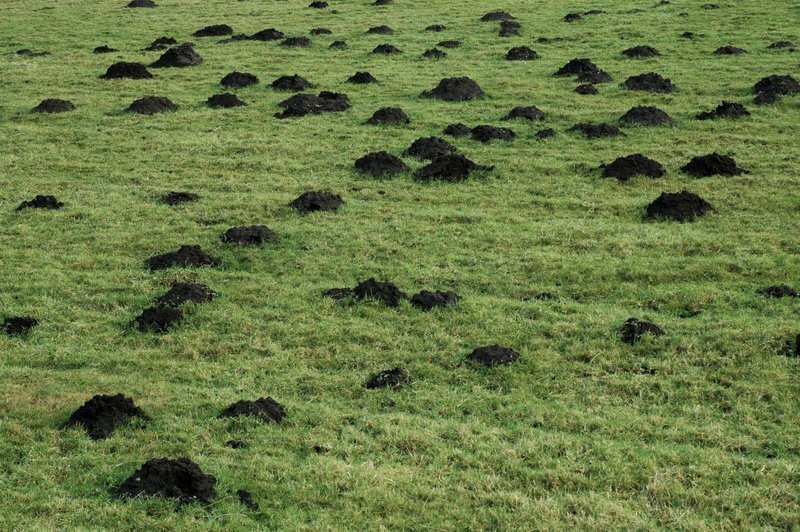 In the spring and fall, we receive many questions from customer who are having problems with moles. Moles have huge appetites and can eat up to one third of their body weight in food per day. Their diet consists mainly of grubs, earthworms and other adult and larval insects. 1. Grub Control- One way to discourage moles is to apply a grub control, such as Merit, to your lawn. Grubs are a favorite food source to moles and by keeping grubs out of your lawn; you are reducing the moles food source and hopefully sending them elsewhere to eat. However, keep in mind that grubs are not the only food moles eat. Grub control is not mole control, but it’s a step in the right direction. 2. Bait- A second method to combat moles is to apply mole bait called TomCat. TomCat was developed after many years of research by Bell Laboratories, and is, in our opinion, the only bait that REALLY works. TomCat is shaped like rubber worms or grubs, which are placed in the mole tunnels. Six worms cost between 15 -$20 and can be purchased from Lowes, Menards, Meijer, Home Depot, and True Value Hardware Stores. For more information; visit www.tomcatbrand.com. 3. Traps– A third option is a new, easy set, step-down mole trap. It is called a WireTek 1001– Easy Set Mole Eliminator. These traps don’t require any special tools or incredible arm strength to set. You place them in mole’s run and stepping down on the trap activates the trigger. These traps can be found at home improvement stores, lawn and garden centers, or online and cost between $30 and $35. 4. Hire a pro– The fourth option we recommend is hiring a professional mole elimination company. We have a colleague called Molebusters who specializes in mole removal. This is the most expensive option, but also the most effective. Feel free to call Molebusters for more information at 616-554-9499. 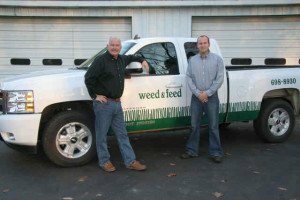 Let them know that you are a customer of Weed & Feed Lawn Care and they will take extra good care of you.